Door Access Control System is popular among Commercial & Residential buildings in Singapore to provide a level of security access control. Since day one, our core mission has been to democratize the accessibility of Door Access control system solutions and bring access control to as many doors as possible in Singapore. We have since grown and channel our efforts on offering a total security systems solution that is integrated and tailored to our clients. As security been recognized as being more and a priority, we have seen a steady growth in demand for Electronic Door access system and locking solutions in a range of Commercial building premises, such as Hotels, Student Hostels, and Airport terminals. For High-Security Access Control applications where Reliability and Security is Top Priority Designed for Protected premises with Restricted entry access. Using Advanced Data-on-card technology, such access control solution is driven by a Virtual networking system with no need for physical cabling. Such Solutions are commonly deployed in large scale Commercial & Residential projects. Enjoy the benefit of Real-time Access Control Management, such as Tracking of access events, and Management of individual access credentials. Our company was founded in the year 2009 and has since operated at very high speed. At present, we have a passionate team of highly seasoned and professionally trained access security system technicians, which includes engineering specialist in Mechanical, Electrical, and Software expertise. We make every effort to make sure that the specification selected for used in our security Office door access system solutions attain seamless convergence between great functionality and design without having to reduce on our clients’ building design theme and Aesthetics. If necessary, for a higher level of security monitoring, the access control system can be correspondingly configured to detect occurrences of failed entry requests. Base on Security Clearance level of the premises, Access control systems can also offer flexible customizable control over users access rights. For instance, all employees can get access through the main door of a building but access to internal restricted premises may be controlled only by those who have a genuine specific need to be there. Access may also be restricted by time, where the access control system only grants employee entry access to particular users at specific times of day or night. This can be suggestive of an entry attempt when the staff tries to enter a room beyond the authorized time period. With time zones management functionality, you can configure a pre-defined time schedule that helps you to determines when entry access request is OK to be granted. For instance, you can set the access control system up such that a specific employee will only be granted entry in the office building during official working hours from 8 a.m. to 6 p.m. In this instance, if the specific employee tries to enter the building at another time, they will be denied access and be physically locked out. With a highly configurable and hierarchical access control levels, you can easily know which employees have a predefined set of access control rights. 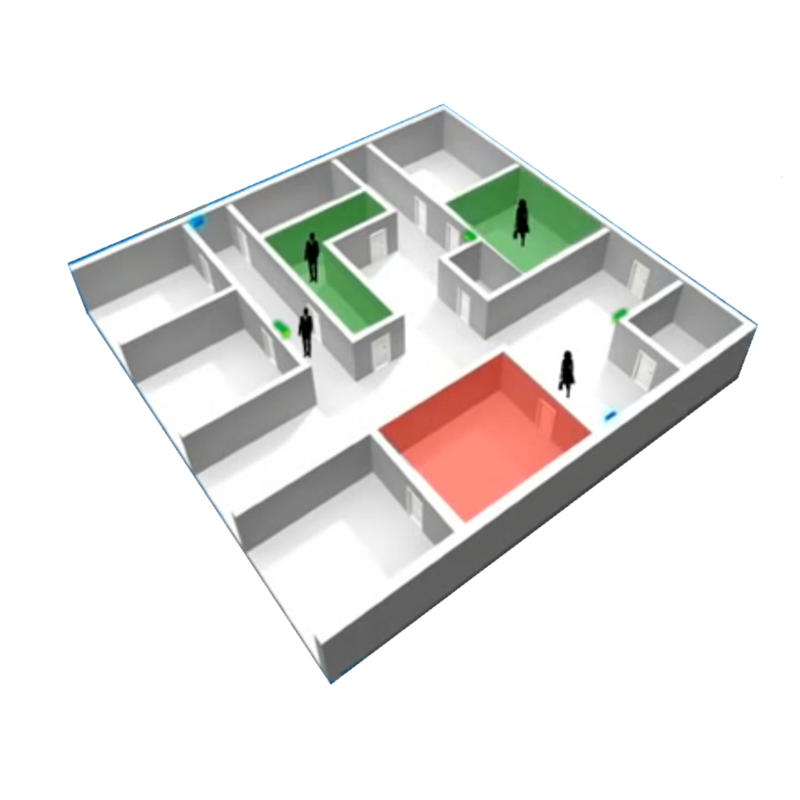 If you got a physically secured premise that you want to be guarded against illegitimate entry access, such as a warehouse storage room, you can now easily determine which staff are allowed to gain entry. With an access control system deployment that utilizes a secure authentication credential, such as RFID access cards, you are now able can individually custom configure the security properties for each access control authentication hardware. Since each and every access control card automatically leaves a security audit trail, you can find see Where and When each staff has gone in the office premises with a searchable report. In the event that the electronic Access control system detects the entry access attempt from an access card credential that was recently reported stolen, the Access control system will automatically prevent granting entry access and send a notification to facilities security management to check if the card user is an illegitimate intruder. By having a precise management of your building facility, you can be guaranteed that those leaving your organization can be removed with a few clicks using the access control management interface. This greatly reduces your risks keeping you and your employees safe and secure. Access control systems allow you to automatically track and log down the movement of every occupant of the building property. This helps to systematically offer an audit trail of everywhere everyone went or. With a digital access control technology, you now have the power to granularly manage Who can go Where and When, and even Where they tried to go. A common example of access control solution is the automated access control barrier gate deployed in front of residential premises. Usually, in most residential premises, they’ll have 2 access paths, with one side for residents and one side for external guests. 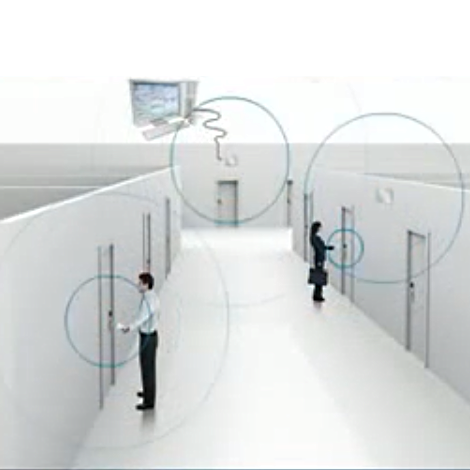 The resident side may allow access automatically when the proximity reader in an Access control system wirelessly detects a unique Long-range RFID sticker or Access card inside the vehicle. 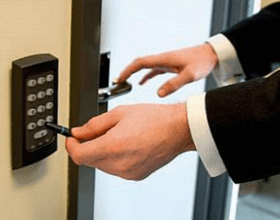 On the guest’s side, you may have a Number PIN keypad, in which you need to key in a PIN passcode that will either release the gate or dial to contact the homeowner to have them send an entry code to the access control gates. Another instance involving the application of access control would be when you access high-security building premises, where the internal staff is required to have unique access cards to gain access to specific locations inside the office building. 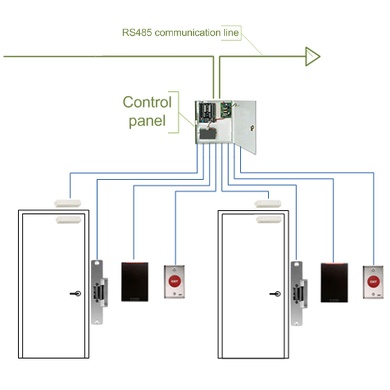 If you are still interested in learning more about Door Access Control System and to see what it can do for your company contact us now at +65 6100 8374 for a no obligation discussion of your needs. Have any questions? Our knowledgeable and friendly consultants will be happy to assist you and share with you in details the benefits & features of implementing a Door Access Control System.